Policies — MIDWEST TACTICAL INC. Sales are conducted on a strict "First come first served basis". No gun is sold until an arrangement for payment has been made. A simple "I'll take it" via email or phone will hold a gun for you until payment can be discussed. Successful win of an auction also constitutes a sale. Purchase price of machine guns must be paid in full BEFORE application for transfer will be submitted to ATF. We accept personal check, money order, Master Card and Visa. ALL purchases for which an invoice is sent will be subject to a 10 percent restocking fee. We accept only Master Card and Visa. There is a 4% surcharge for use of credit cards. In the event of a refund, the full purchase price is refunded, but not this 4% surcharge. Our return/refund policy is designed to ensure confidence in doing business with us. It is designed to ensure fairness to both parties and to ensure your gun will be as described. Our goal is that you are happy with the product you purchase. 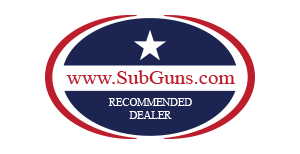 We guarantee all guns we sell to be as described. At the completion of the sale, you will have three business days to inspect your gun and request a refund if you determine it is not as advertised. This three-day inspection period begins the business day after your FFL receives the gun. A buyer may request a refund on a gun by email or phone. 100% of the purchase price will be refunded. The buyer will be given a refund if the gun is not as described or has a defect of some type. Refunds will NOT be given due to poor performance by ATF. Buyers of NFA items should be aware that ATF approval is out of our control and that no NFA item, such as machine guns, silencers, and AOW's can be shipped until the ATF approves the transfer of the item. We will NOT ship any restricted item before it is approved. Therefore, we will under no circumstances refund the purchase price on a sale that is waiting on ATF approval. If a refund is authorized, your dealer will need to initiate a transfer of the item back to MWT Inc./Frank's Gun. At the time of approval of the transfer, repayment of the entire purchase price of the gun will be promptly given. We sometimes have guns for sale that are actually consignments. These guns are not in our possession and have not been purchased by us. We operate in the capacity of "broker", in these types of transactions. The above policies apply to our consignment guns as well. Many consignment guns will transfer on ATF Form 4. Prices quoted on consignment guns include any applicable taxes. The website listing will indicate if a particular gun is not currently owned by MWT Inc. Copy of your driver's license with current address.Pictures of the machine gun we are purchasing.Copy of the form the gun is currently on. 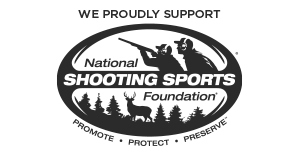 Payment for NFA items we purchase is always made prior to delivery of the item. However, we will not typically issue a check prior to approval of the transfer by NFA branch.